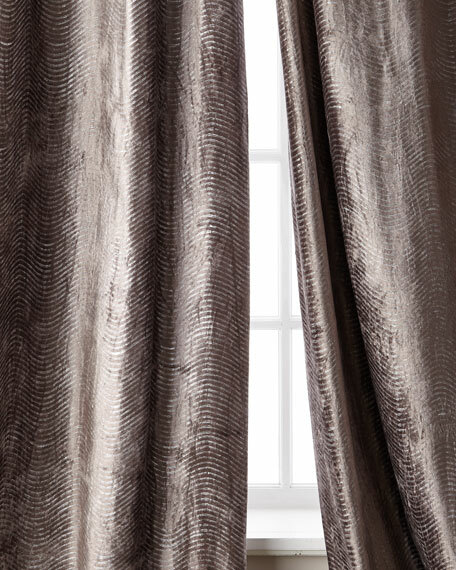 Creative Threads Waves Velvet Drape, 96"
Velvet drape lined with cotton sateen. Construction: 4" rod pocket; 2" header and back tab. 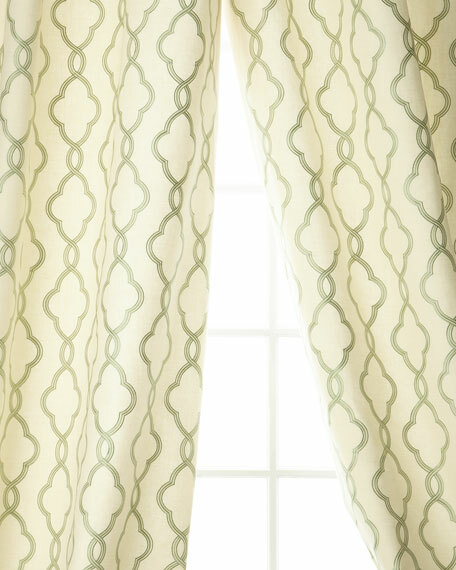 Creative Threads Waves Velvet Drape, 108"
Linen/cotton drape, lined with cotton sateen.Featuring interlinked octagon pattern.Construction: 4" rod pocket, 2" header/back tabs. Dry clean.Imported. Cotton organdy drape. Construction: 4" rod pocket; 2" header and back tabs. Unlined.Dry clean.Imported. 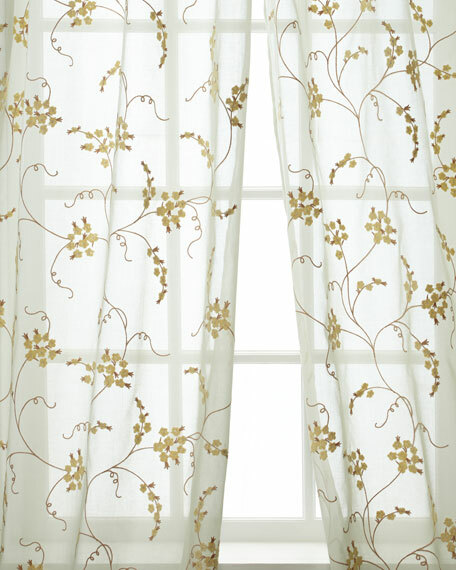 Fan-print linen/cotton drape, lined with cotton sateen.Construction: 4" rod pocket, 2" header/back tabs. Dry clean.Imported. 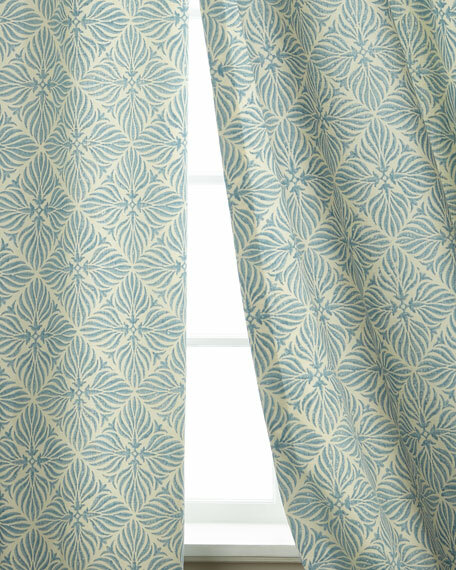 Tile-print linen/cotton drape, lined with cotton sateen.Construction: 4" rod pocket, 2" header/back tabs. Dry clean.Imported.